In my early days of travelling I was a backpacker; reliant on public transport and forever frustrated by how inconvenient, uncomfortable, exhausting, unpleasant and even dangerous it often was. Arriving late at night on the edge of a town and falling prey to avaricious taxi drivers, or booking expensive ‘tours’ to get out into the wilderness were wearisome experiences. In those days it never even crossed my mind to take my own vehicle. Aside from not having a driving licence, I imagined it would be prohibitively expensive and logistically very difficult to travel by such means through multiple countries outside of the EU. Both of these assumptions were largely incorrect. Eventually, it was a newspaper clipping sent to me by my mother in 2004 which gave me the idea to travel with my own vehicle. As I read the story of one man riding his motorcycle all around Africa, I was inspired by the sense of freedom and independence and by the idea of a long, overland journey: something with which I had been transfixed since childhood. I vowed to make a similar journey. The vehicle concept soon changed from a motorcycle to a four-wheel drive (more convenient, more luggage space, less dangerous) and much later the destination changed from Africa to Eurasia, but essentially it was at this moment that The Odyssey was conceived. After very little research, it became clear to me that there was only one choice of vehicle manufacturer and the question of which vehicle to take became a question of which Toyota to take. 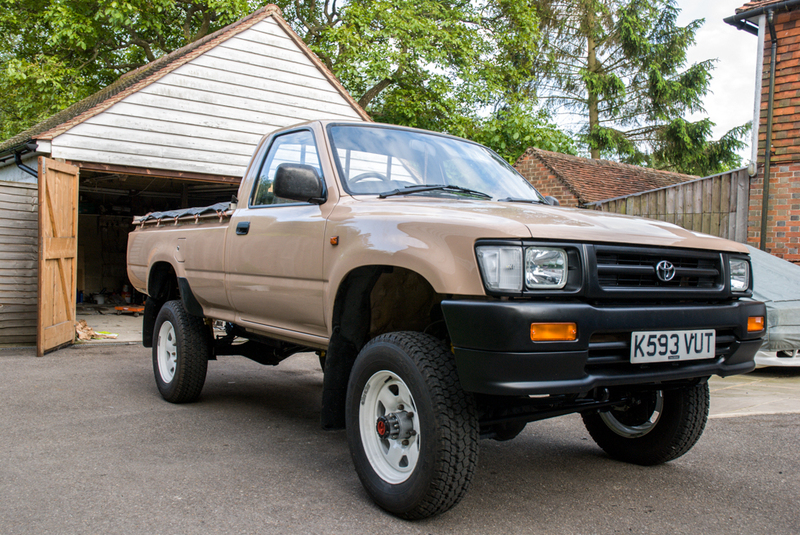 After much consideration, I chose a 1993 Hilux 4×4 Diesel. 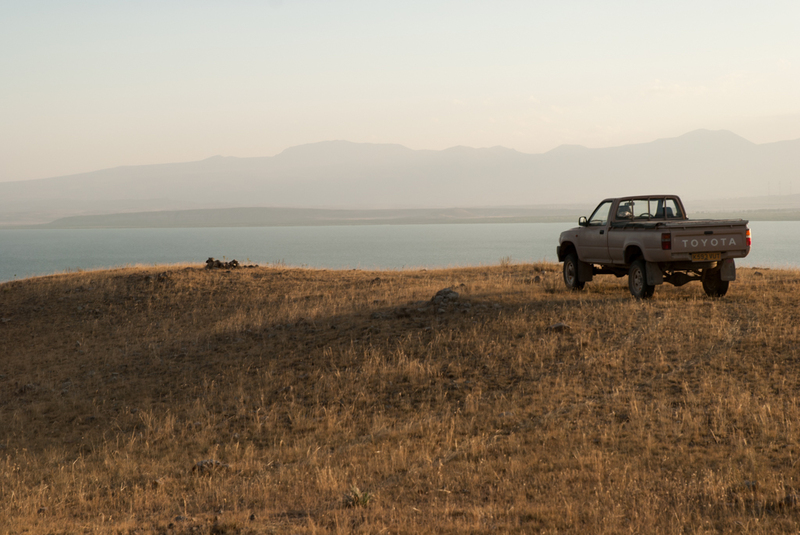 Reliable, tough and utilitarian, mechanically simple, free from worrisome electronics, comparatively light, economical and ubiquitous throughout much of Eurasia, the Hilux made an excellent overland vehicle. It would take me over some seriously rough terrain, over some of the world’s highest roads, across the snowy wastes of Mongolia, through empty deserts and the hectic cities of the Indian Subcontinent. 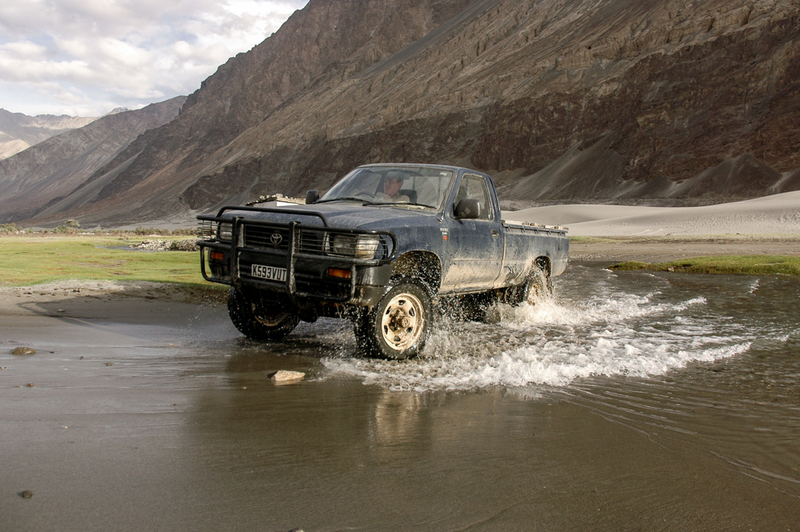 The Hilux’s low-profile look would often blend-in with local traffic, allowing me for example to access parts of Pakistan from which foreigners are normally kept well away, and it would allow me to drive inconspicuously across Afghanistan where security was a major consideration. The Hilux had approximately 250,000 kilometres on the odometer when purchased, but after minimal maintenance it was ready for the road. In hindsight I should have invested a little in new springs, a new radiator and a set of new tyres, but in essence the Hilux made the initial four-and-a-half year, 155,000 kilometre journey without requiring any major work. I did not deem it necessary to modify it before setting off; adding weight with needless accessories, or compromising reliability by adding after-market parts. I did not require a vehicle which could survive a nuclear winter or drive through a metre-and-a-half of standing water, and I did not want a vehicle which was obviously foreign and drew attention. I had an aluminium deck made for the cargo bed, which allowed me both to pitch a tent, and keep my luggage safe. Aside from this, the Hilux was left standard. 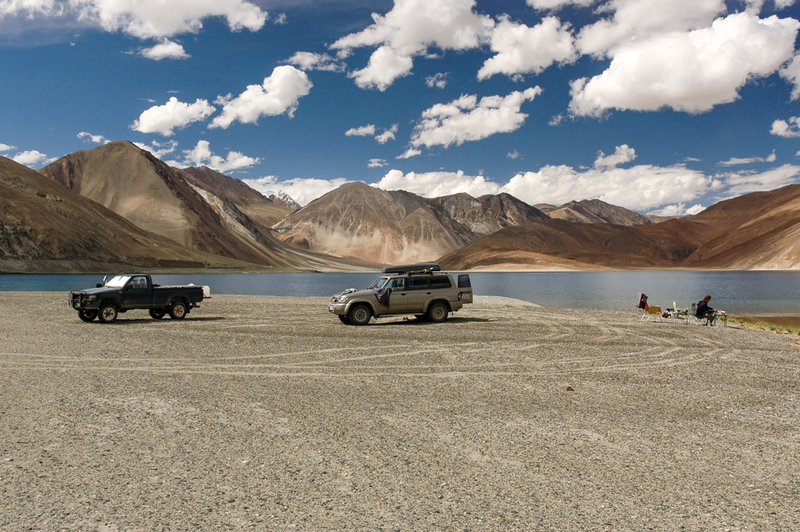 The Hilux is fantastic for travelling in; a trusty travel companion which almost never gives trouble. Travelling with a vehicle greatly improves my travel experiences, and I can say unequivocally that it gives me vastly more freedom and opportunity to explore than I had previously, when backpacking. It also forces me to strictly adhere to one of my most fundamental rules of travel; to travel only by surface means. 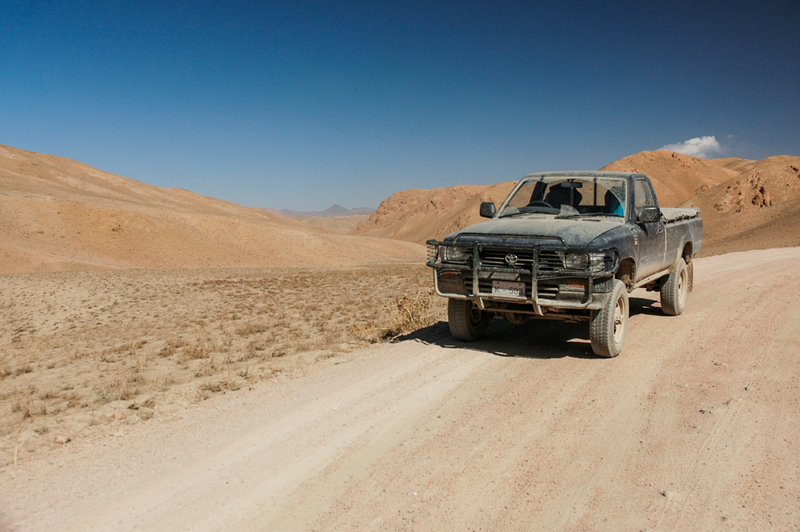 At times, when out in the wilderness, accompanied by fellow vehicle-based travellers, or just out alone in the desert, far away from cities, crowds and noise, the vehicle is absolutely central to the travel experience. 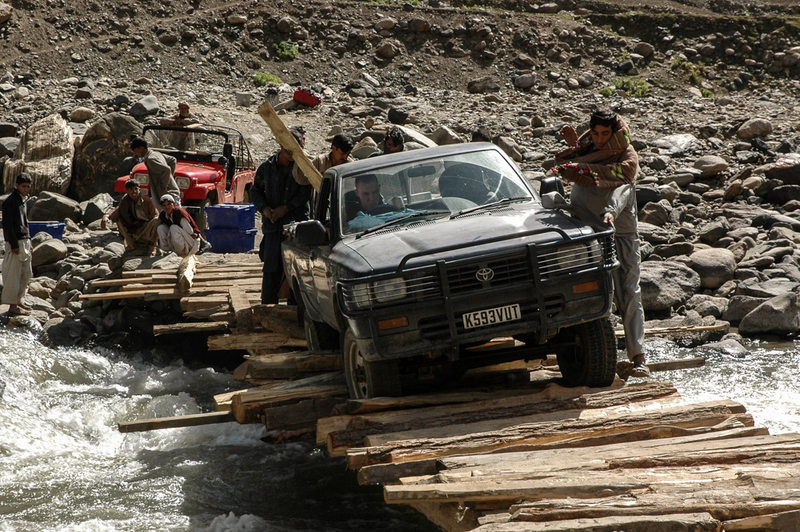 The Hilux has been through some scrapes, always down to poor handling on my part; it has almost fallen off a log-bridge into roaring mountain river and been hit by a rockfall in Pakistan, fallen through a frozen river in Mongolia and twice flown off icy Siberian roads; each time continuing without fault. Indeed, in more than 208,000 kilometres it has only broken down once, due to nothing more than a kink in a fuel hose. Upon returning to the UK in December 2011, the truck was parked-up, out in the dismal British weather. 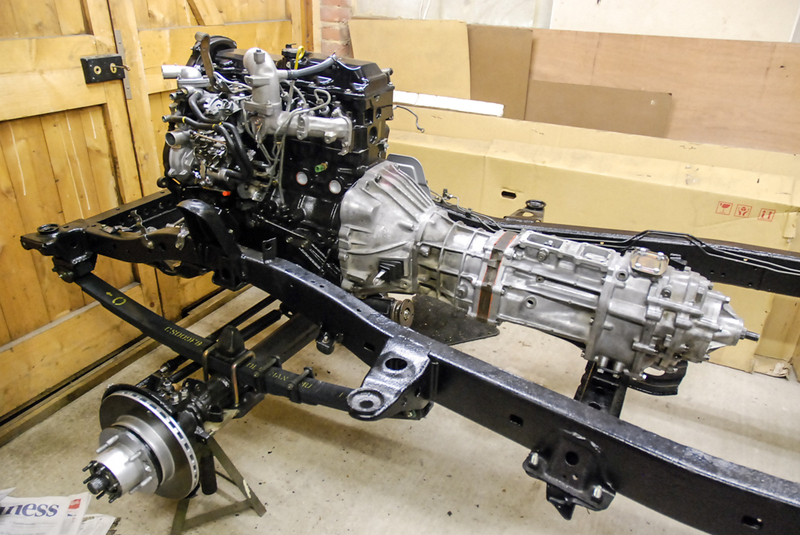 Mechanically, the truck was still in great condition and passed a British MOT (roadworthiness test) with minimal work, but the bodywork was starting to decay. There was of course no question of selling the truck and I soon settled on a plan which I had had loosely in mind for some time; to totally restore the vehicle back to original condition. This would turn out to be massively time-consuming and expensive, but also deeply rewarding and educational. With the exception of repainting, very nearly all the work was carried out by myself. With the exception of suspension components, only genuine Toyota parts were used. 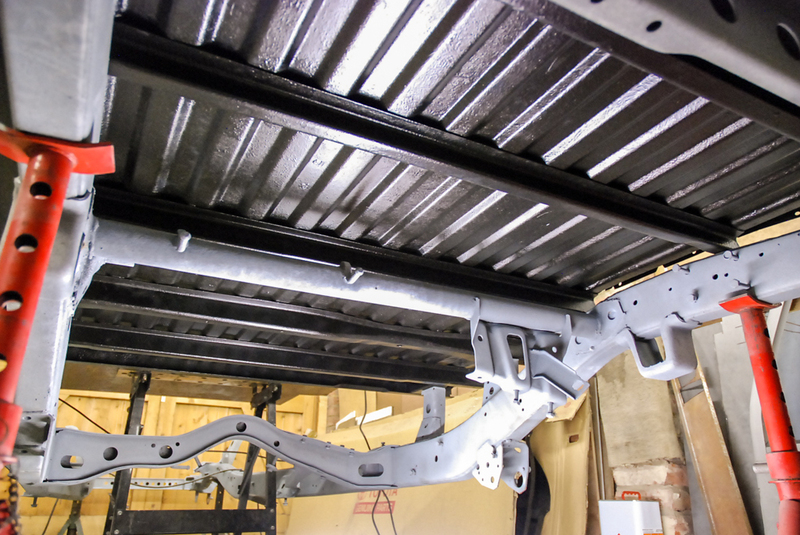 The chassis had some minor welding carried out, then was shot-blasted and sprayed with molten zinc. Much of the bodywork was replaced, panel-by-panel by drilling out the original spot-welds and re-welding original panels to replace those which were corroded. Heavy rustproofing was carried out to maximise future body life. The engine was stripped, all tolerances checked (the block had actually been bored out to a 0.50 millimetre oversize in Pakistan in 2009) and all service parts replaced. 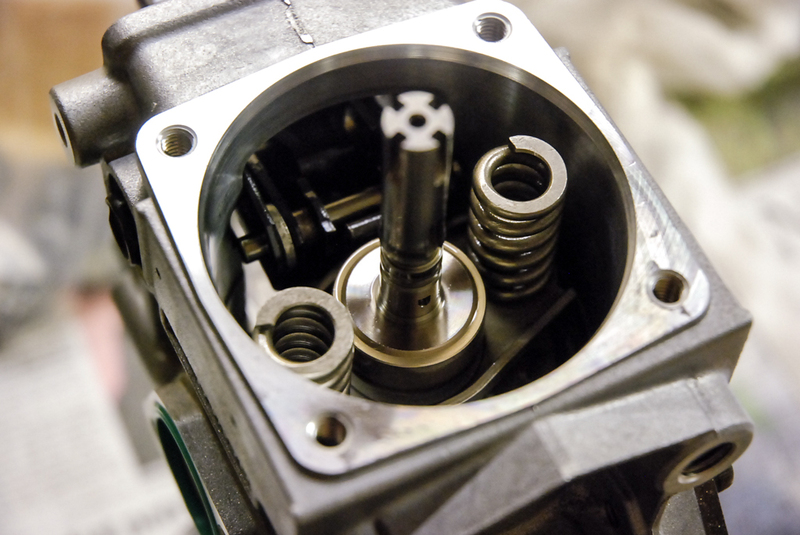 The injection pump was overhauled, worn parts replaced, then calibrated by a diesel specialist. 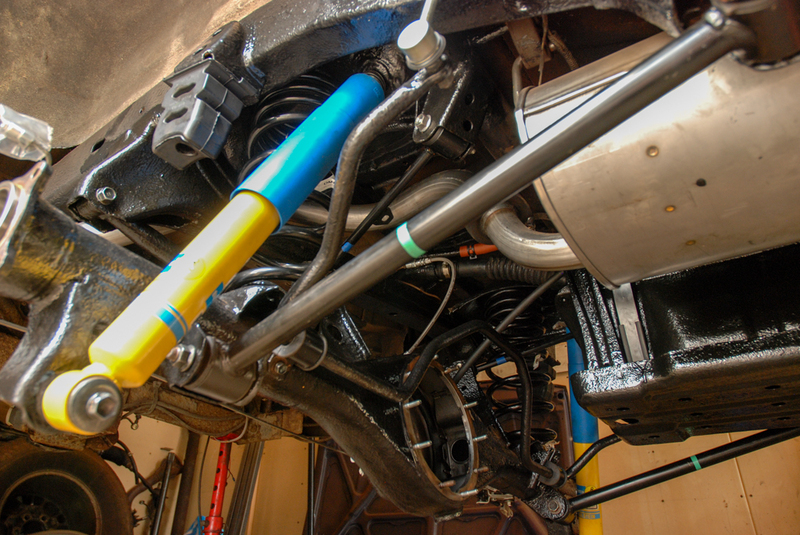 The transmission, transfer and entire driveline were overhauled with all new seals and new bearings where necessary. The bare bodywork was then totally resprayed, not in the old Midnight Blue, but in Sandy Taupe, a colour more suited to the environments in which I travel. Eventually, after seven months of daily work, the truck emerged from the garage, in like-new condition. That very evening I would set off to continue the Odyssey. With only very minor teething problems from bolts which had not been tightened correctly, the Hilux made the 33,000 kilometres of the second part of The Odyssey without a problem. 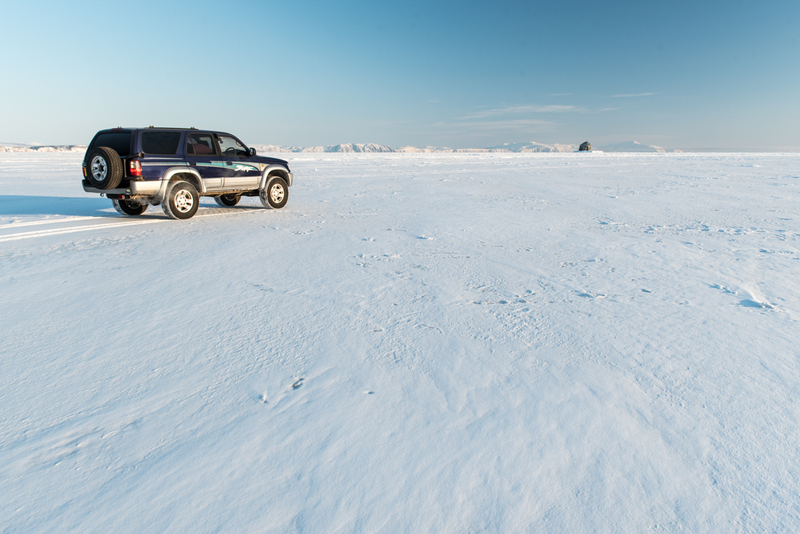 In 2015, the Hilux made another journey of very nearly 20,000 kilometres, all the way to the Arctic. Some noises from a prematurely worn clutch disc indicated issues with the transmission but posed no real problems. Currently the Hilux is in dry-storage awaiting a future journey. Recalling the time in 2005 that I bought the Hilux, my aim was to take it on a long trip around Africa, and that ambition remains in my mind; a two to three year journey around Africa at some point in the early 2020s. In the mean-time I am designing a lightweight storage and living system to fit discreetly within the vehicle’s cargo bed, and stockpiling spares for a vehicle which might be thirty years old when it finally enters Africa. As I made successive trips into Russia, I learned that large parts of the country which are inaccessible during the warm summer months become linked to the main road network in winter by ice-roads, built on frozen swamps and rivers. This, together with a long-held ambition to make a trip to the very coldest inhabited parts of the planet in winter, gave rise to the idea of a true winter trip across Russia. Extreme cold temperatures (below -40º C) would cause diesel fuel to gel, and would make sleeping outdoors extremely uncomfortable. Therefore, the Hilux would not be suitable. I needed a second vehicle. Choosing a second Toyota was not easy. Petrol-engined 4x4s almost always come with automatic transmissions, something I strongly dislike. 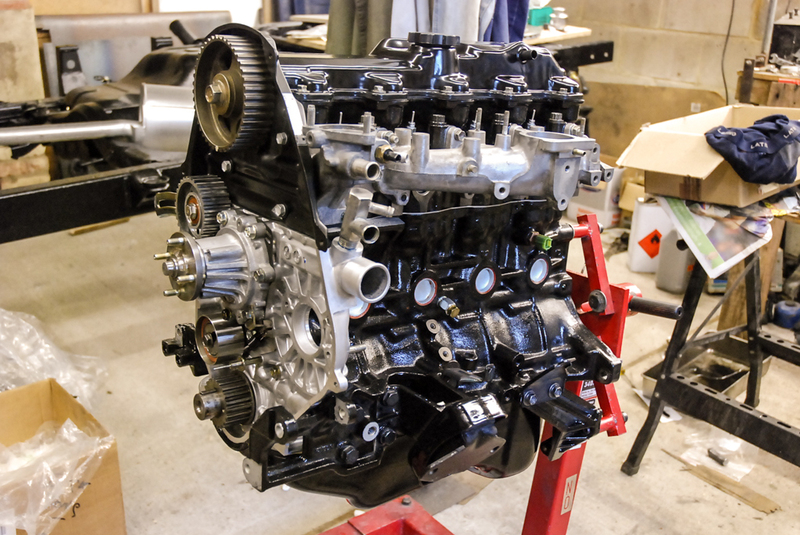 Large, inline-six engines have heavy fuel consumption and V6 engines come with much extra complexity making them difficult to work on when compared to an inline engine, making them less suitable for rugged use. Finally however, in November 2015 I found my vehicle; a 1996 Hilux Surf with a 2.7 litre, sixteen-valve petrol engine and a manual gearbox. By amazing co-incidence I was heading back to the UK (to view a different vehicle) just as this extremely rare vehicle came to my attention. After speaking to the seller, I made a train journey from Kent to North Wales and purchased the vehicle on a dark Sunday evening. Roughly an hour into the drive back to Kent, the engine overheated and I had to be rescued in the early hours of the morning from the side of the M40. Despite the unpromising start, I was unfazed, and looking forward to getting the vehicle back into top condition. 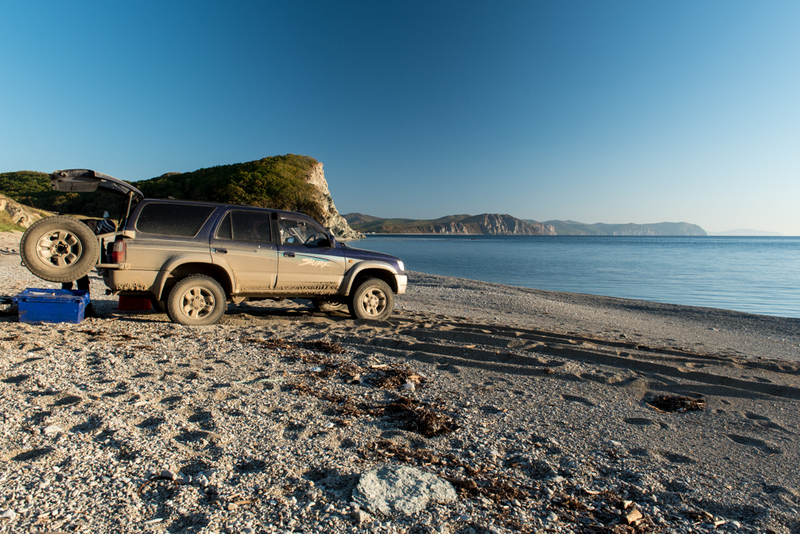 After replacing a leaking radiator cap and defective thermostat, the Hilux Surf made the journey back to The Continent without incident a few weeks later. With a target leaving date of August 2016, I felt that I had plenty of time to refresh the engine and suspension, and prepare the interior for living in. Work began in February 2016, but it would soon become obvious that far more repair work was required than I had originally planned for. The suspension had to be entirely replaced and upgraded. Some minor welding was required in a few places on the chassis and body. 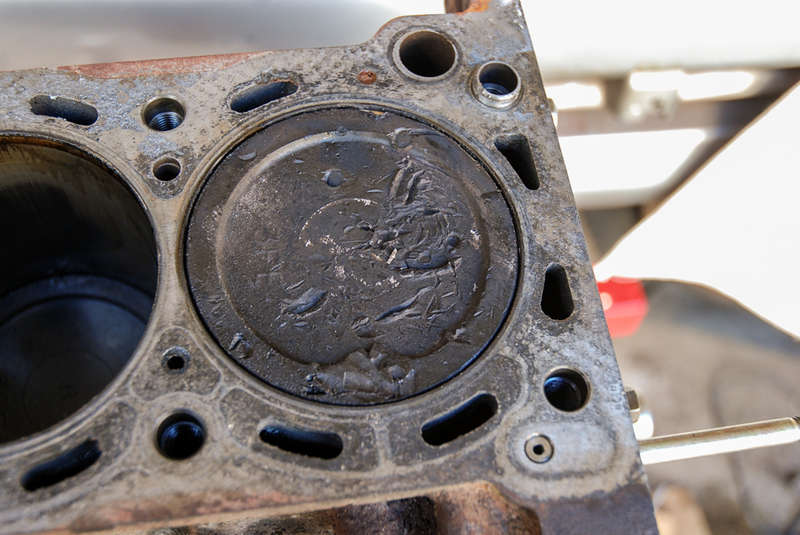 Most seriously however, after opening the engine it was evident that a valve had previously dropped into cylinder #1, damaging the piston and cylinder walls. The cylinder head had cracked and been welded. Worst of all, very poor quality repair work on the engine had allowed the ingress of dirt, meaning that all bearing surfaces on the crankshaft and balance shafts were scored. 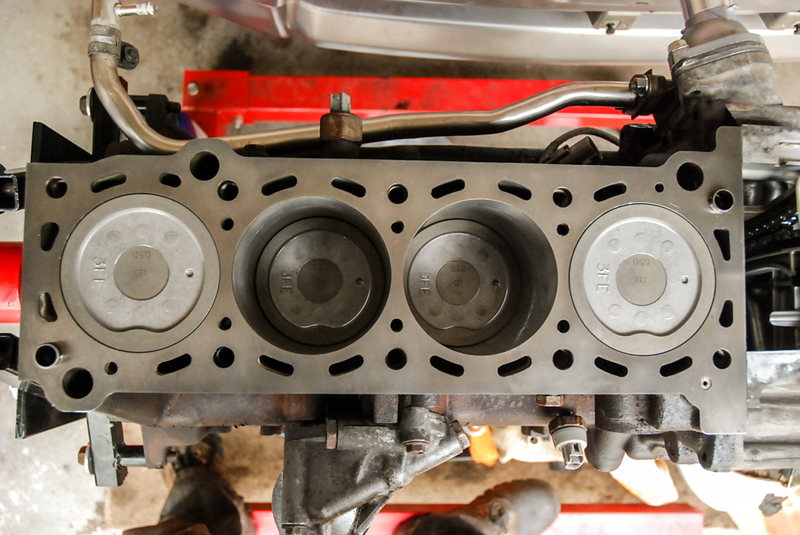 A full engine rebuild was required, as well as a new cylinder head. As the summer progressed, it became increasingly clear that my departure date would have to be delayed and after some tense weeks I made the decision to postpone departure by one year. 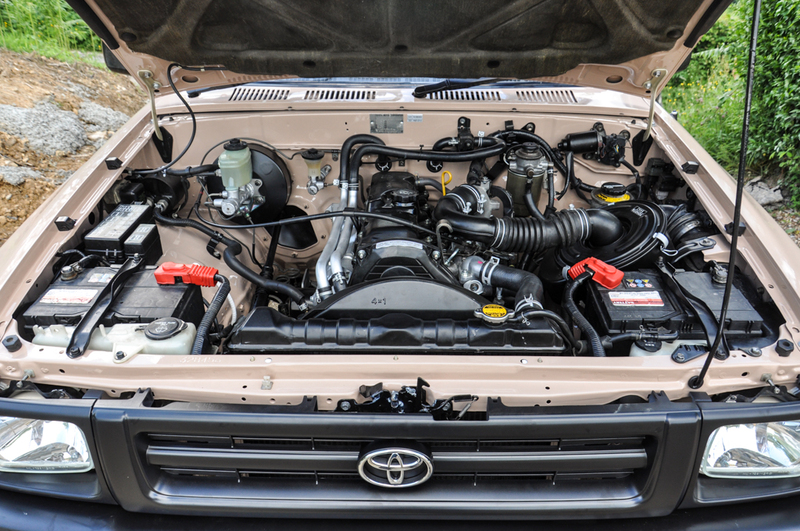 In November 2016 the engine ran for the first time, though it was not until April 2017 that with the engine fully rebuilt together with all ancillaries, a completely overhauled drivetrain and brand new, uprated suspension, the Hilux Surf took to the road again. Time was then spent finishing the interior additions; a welded sleeping platform with luggage storage area, a split charge system and second deep-cycle battery mounted behind the driver’s seat, and a two kilowatt cabin air heater, fed from an internal diesel tank. All this came together in August 2017 when, a year later than planned, I set off to cross Eurasia to the Russian city of Magadan on the Pacific Ocean. I soon found the Hilux Surf to be quite a different driving experience from the Hilux; with almost twice as much power from a smooth, quiet petrol engine and far more comfortable coil sprung suspension it is far more refined, though slightly less rugged than the Hilux. 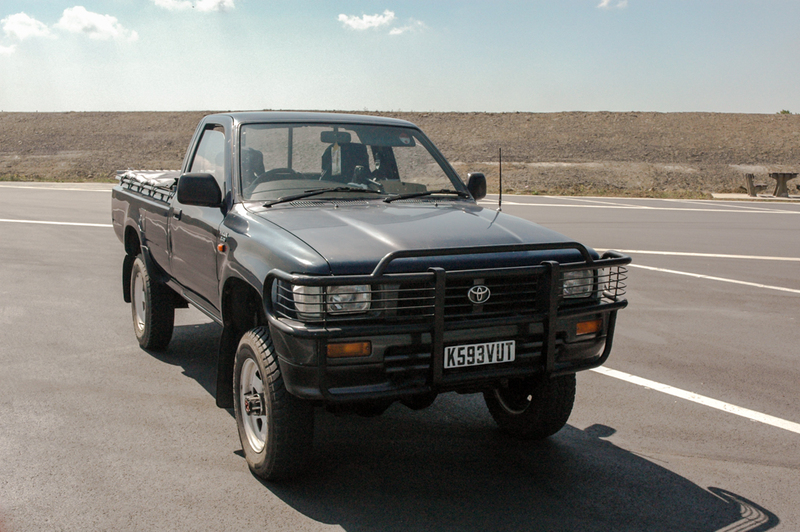 The Hilux Surf soon proved itself to be similarly reliable, without a single issue (two punctures notwithstanding) in the more than 23,000 kilometres which it drove to Magadan, where it was placed into dry storage. Returning to Magadan in January 2018, I set off westwards through the harshest of winters. The Hilux Surf encountered temperatures down to -42º C, drove for hundreds of kilometres on the ice of the Lena River and Lake Baikal, started from cold in temperatures as low as -31º C and was left idling overnight, with the engine once running very nearly continuously for around sixty hours. Nothing proved problematic for the vehicle. Despite the harsh conditions, two crashes into deep snow and countless spins on the hard-packed snow of various ice roads, the Hilux Surf drove almost 14,000 kilometres from Magadan to Moscow without a single mechanical issue. With the autonomous internal heater and additional insulation keeping the cabin up to 50º C above ambient temperature, it was also a very comfortable refuge from the lethal conditions. 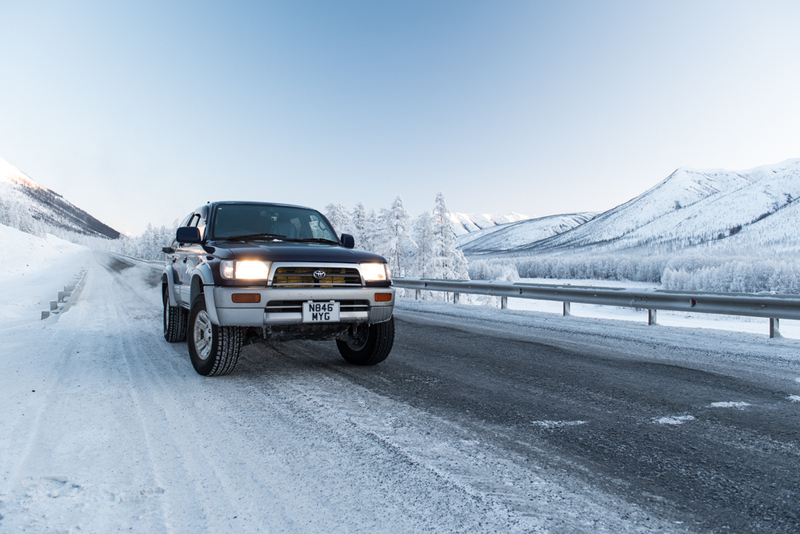 All considered, the Hilux Surf is an astoundingly dependable and very capable winter expedition vehicle. 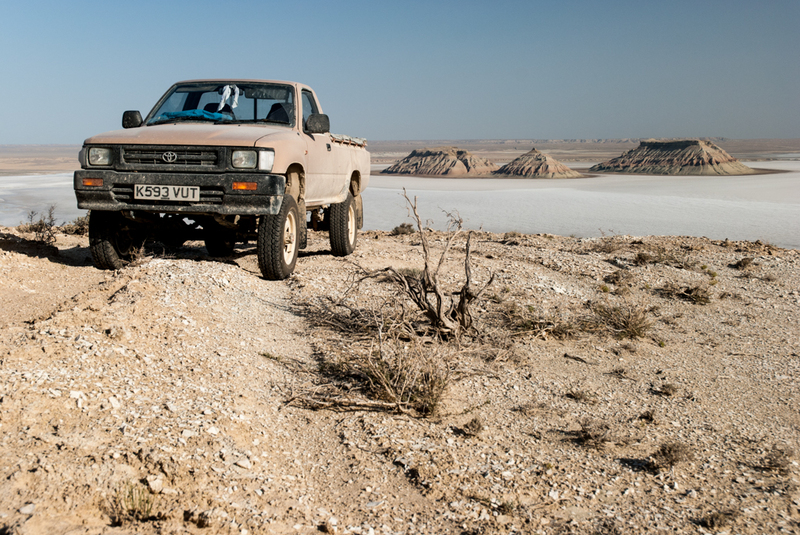 From Western Europe to Magadan and back, the Hilux Surf made a faultless journey of more than 43,000 kilometres. Making a detailed inspection after returning, the front upper ball joints were found to be worn; most likely from broken rubber boots and lubricant failure due to the extreme cold. With these replaced, the vehicle is steadily being cosmetically improved and is ready for future journeys in the Middle East, or perhaps a winter journey to Mongolia, before the Trans-African Overland begins in the Hilux. Couldn’t agree more when you talk about the choice of your car. I’ve been planning a Japan to UK Overland trip (via Russia, Mongolia). My original plan was to ride a motorcycle but due to some personal issues, I am inclined towards a 4×4 now. I’ve always been a motorcycle fellow. So, i have no clue about 4x4s. Can you please help me on where to start with, in the search for the 4x4s? There are lots of websites for motorcycles like HUBB, ADVrider but I couldn’t find much for Overland 4×4 adventurers. If you could lead me to some useful websites, it would be excellent! Thank you for your comments. As far as I know, the HUBB section on ‘Four Wheels’ is the best English language site. People overland in all types of car, in my opinion the most important consideration is that your car is in good repair, is reliable, and that you don’t overload it. Any decent 4×4 will get through Mongolia if it’s in good condition. Russian roads are good enough these days not to need a 4×4 unless you really want to go off the beaten track. Personally, I think Toyota 4x4s stand out in terms of reliability, build-quality and ruggedness, but they are naturally more expensive. Nissan also have a good reputation. If you’re not a home mechanic I would stay clear of anything made by Land Rover, though they are doubtless good cars. Age and kilometres are not a very big issue if the car has been well-maintained, so it would be worth getting an expert to look over what you are buying. Sorry not to be of more help, but as far as I know there is no dedicated 4×4 overland website in English. Brillant story,,,,,I really enjoyed reading and will look forward to further updates,,thank you. Another great adventure completed. I am originally from the UK but now live in Australia. We have 1 Landcruiser and 2 hilux’s. One Hilux is being restored, ln65 diesel, 1985. It’s that good we couldn’t possibly part with it. Well done. It was a great read and thank you for sharing your experiences with us. Thanks for your comment. Indeed, the winter trip (which I assume you are referring to 🙂 ) was a real adventure, I hope it’s not too long before the story is on this website, though currently I am still writing up the end of the 2014 trip. I would not be against a Landcruiser to add to the Hilux and Hilux Surf, I have my eye out for a left-hand drive FZJ105 but they seem to be exceedingly rare!